1. 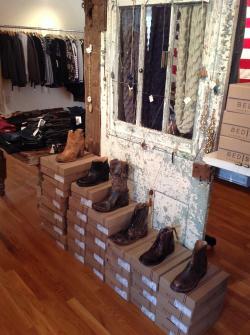 Boho 72: This is your one-stop-shop for great fall boots and scarves. 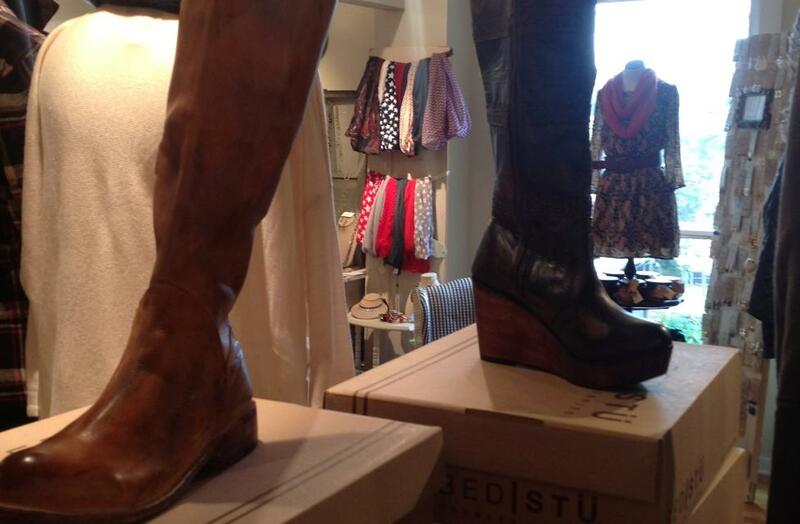 Their vintage-style boot collection includes all different heights and styles. 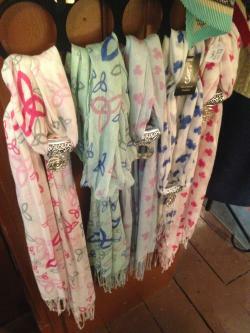 Pair it with one of their patterned or chunky infinity scarves, and your outfit is complete! 2. Ha’Penny Bridge Imports: If you’re like me and like to show off your Irish attitude, then the scarf you’re looking for is at Ha’penny Bridge Imports. Shamrocks a little too much for you? 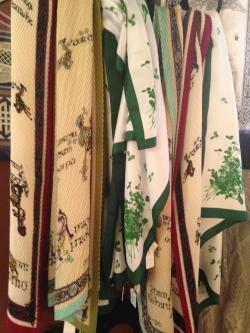 They also have a great assortment of Celtic knot scarves, which look great paired with a brooch or pin. 3. 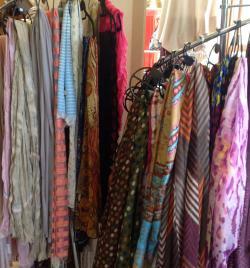 Audacious Boutique: This place is a scarf wonderland! You can find practically any color/pattern you can imagine here in both long and infinity scarves (my personal favorite). 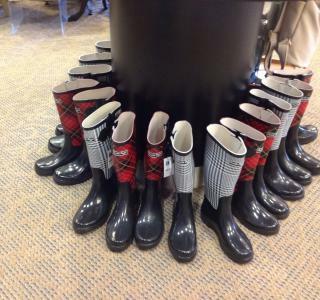 They also have a great collection of rain boots so you don’t get stuck dodging puddles this fall! Be sure to check them out at The Shoppes at River Ridge. 4. Thread: Looking to splurge a little on a really great accessory? Look no further than Historic Dublin’s Thread. From their jewelry to all the scarves they just added to their collection, it’s hard not to fall in love with something here. So now that you know where to find the best outfit accessories, what are you waiting for? 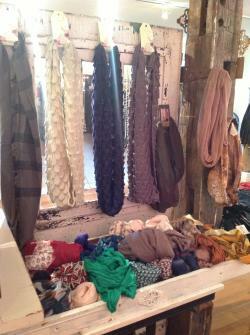 The leaves are starting to change, and it’s time to add the finishing touches to your fall wardrobe! Neck high in scarves and knee deep in boots already? Check out all the other great shopping Dublin has to offer.